In this pre­view of parts one and two of this three-part inter­view, he explains why the judges did every­thing they could to destroy Dr. Fine. In this sec­ond inter­view, Alan Para­chi­ni was retired in his home. 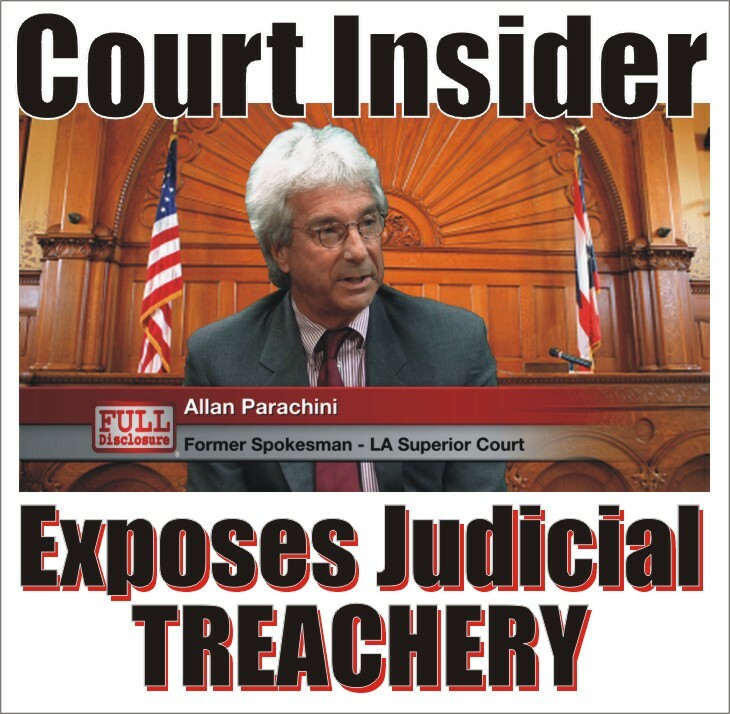 Full Dis­clo­sure® had filed a request to get a copy of the con­tract between the Coun­ty and the Los Ange­les Supe­ri­or Court Judges. Allan had seen this con­tract that spec­i­fied an agree­ment between the two par­ties that estab­lished that each of them would receive the same gen­er­ous ben­e­fits pack­age. Allan explains how the Judges work hard to “keep the pub­lic out” of their busi­ness.